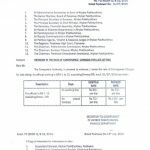 Pakistan Water and Power Development Authority (WAPDA) has issued Notification on 10-08-2016 in connection with Conveyance Charges Late Sitting for WAPDA Employees. 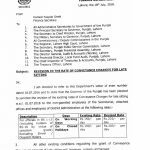 According to this Notification, Conveyance Charges for Late Sitting have been revised with effect from 1st July 2016. 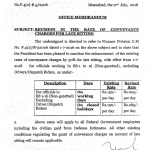 For the employees of BPS-01 to BPS-16 (Non-Gazetted) excluding drivers these rates have been increased from Rs. 100/- per day to Rs. 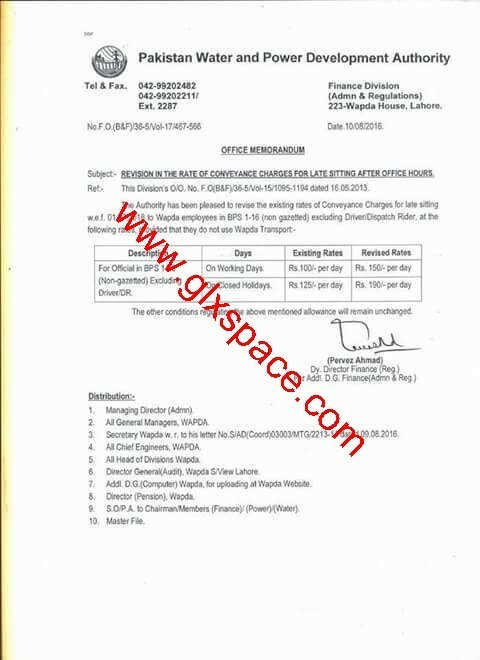 150/- per day during working days and on closed days, from Rs. 125/- per day to 190/- per day. Special thanks to Mr. Memom Naveed Ahmad for sending the copy of the Notification. Sir me sindh main sr. 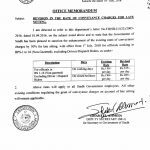 Clerk hun aur mera 04/08/2016 pe upgradation hua bps 14 main.. kindly ye bataao ab next december waala increament december main mujhe milegaaa yaa nahii?? ?